At InStyle, we love teaching you our favorite tips and tricks for how to make getting dressed in the morning just a little bit easier. And maybe, even fun. Wanna know what's not fun? Annoying rules that you've heard your entire life about fashion: "Don't pair this with that." "Don't wear this color with that color." "Never wear this during that time of year." Well, it's 2018, and we think those rules are ridiculous. Having a laundry list of do's and don't's is dated and will get in the way of you showing off your personal style. Here are 25 of the biggest rules you should immediately erase from your memory, and why. Stripes with spots? Animal print with floral? Yes and yes. Mixing prints is the fastest way to achieve that maximalist look we have come to know and love from brands like Gucci. The more, the chicer! Have you been told not to pair a gold necklace with a silver chain? It's just not true. Metal combinations like rose gold with silver, or yellow gold with copper, is a great way to give your jewelry game some dimension. You spent so much money on your favorite leather jacket and you can't even wear it two seasons out of the year? That's ridiculous. Treat your leather jacket like a cardigan, wearing it over simple summer dresses or T-shirts and shorts. Yes. Many maxi skirts and dresses will be too long for those who may be shorter than others. But tailoring the piece (or, depending on the material, taking a scissor to it yourself) will make it the perfect length for you, no matter your height. Say it with me: Flats. With. Eveningwear. The evening flat is an option thanks to some of our favorite designers piling on the embellishments and detailing. HAHA. Remember when this was a rule? If you're still feeling shy about wearing your favorite spandex to the office, try some of these styling tricks, here. You don't have to pack all your white clothing up after Labor Day and kiss it goodbye until next summer. Going head to toe in a winter white look is one of the freshest way to update your look when you're bored of your winter wardrobe. "THANK YOU," is what we'd like to say to our favorite bloggers who have courageously shown us that, yes, sequins are totally day-wear appropriate. 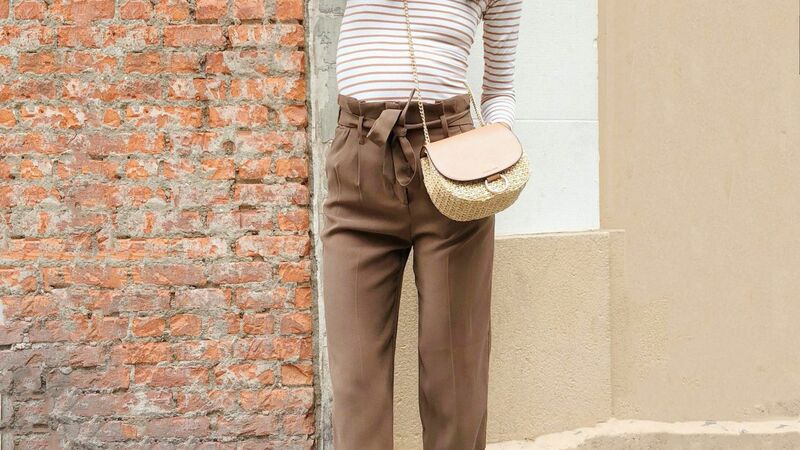 There's only one real rule when it comes to combining colors: neutrals always look great together. Blue and black, brown and black, anything plus black: you're safe. Do you remember how long you used to try hiding your bra straps from showing when you wore a tank top the summer of 8th grade? The worst. And now, we're telling you to show it with pride? Sheer pieces have become staples in our wardrobe. Feeling shy? Pair a sheer black shirt with a black sports bra for a less "in your face" look. There's this myth that if you're above a size 6, you should wear flowy, oversized clothes. But truth be told, that tends to make you look bigger. Plus, you lose out on being able to try some of the best trends. Wearing clothes that are well-fitted (not ten sizes too big!) and supportive is key in making you feel and look great. Sandals and peep toes are not just for the spring and summer months. A tiny peep toe can be totally cold-weather appropriate and layering a sock underneath (a pattern one, at that!) a sandal makes your favorite shoe seasonless. Similar to how we just blew your mind and told you white was totally okay to wear in the winter, black is completely acceptable to wear in the middle of August. Finding lightweight black pieces may just be the best thing you ever did for your summer wardrobe. Of course, we don't want you running around the city wearing nothing but your bra and undies, but finding an understated way to wear lingerie outside of the house (i.e. pairing your favorite lace slip with a turtleneck underneath) is a street style go-to. Wrong. Wrong. Wrong. Fanny packs are back (in a big way!) and aren't going away anytime soon. Some of our most favorite brands are putting their stamp of approval on the trend, from Gucci to Topshop. Not sure how to rock the trend? Scroll through this slideshow of our favorite celebrities wearing fanny packs. And then go shop. They say you should "invest in staples," and often times, we support that decision. But just because you're wearing said bag, shoe, or sweater every day does not automatically mean it has to cost you an arm and a leg. Some of our most beloved pieces that have lasted us seasons come from fast fashion retailers like Zara, and we never object to finding a steal on consignment sites like TheRealReal. Are you going for the boyfriend jeans look? Give the actual men's section a try. We often find some of our favorite pieces in the men's section at department stores. Pro tip: The children's department also has great finds in boys sizes XL. Wrong. Wrong. Wrong. Thanks to Balenciaga, Louis Vuitton, and Nike, sneakers are chic enough to wear with dresses. Gone are the days you can only wear suede in winter. Grab a bottle of Scotchgard and talk to your dry cleaner. It's as simple as that. 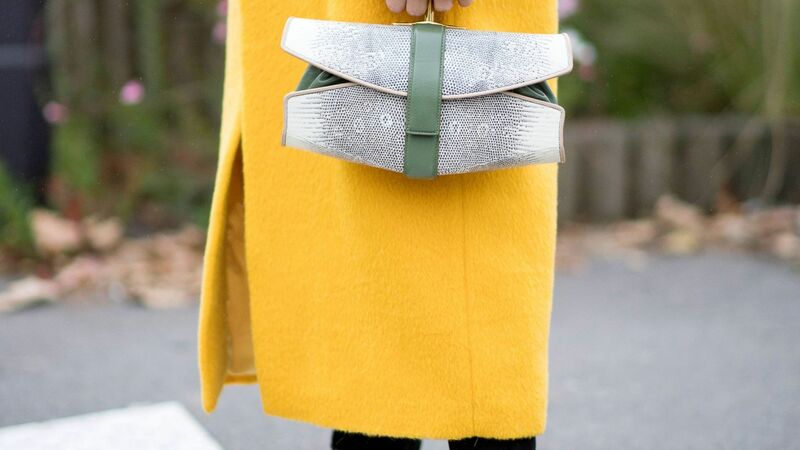 Matching your shoes to your bag can offer a delightfully monochromatic look (see above). But it's an old-school concept and definitely not a rule that needs to be followed. Mixing patterns, textures, and colors is the fastest way to make your outfit more interesting. You don't need to go all Britney and Justin, here, but trust us, head to toe denim can look very chic. Playing around with different shades of denim or different textures is an easy way to break up the look. For more tips on how to test the trend, check out some of our favorite celebs wearing the Canadian Tuxedo. Florals? For winter? Not so groundbreaking. 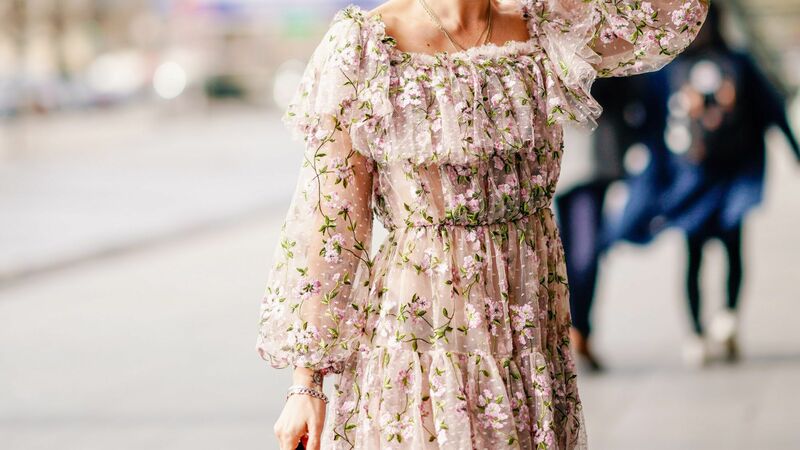 Boho-chic favorite brands like Zimmermann and Rebecca Taylor have proven that florals can and should be worn year round. By finding pieces in darker shades or thicker fabrics, you can wear floral prints year-long. Need some tips? 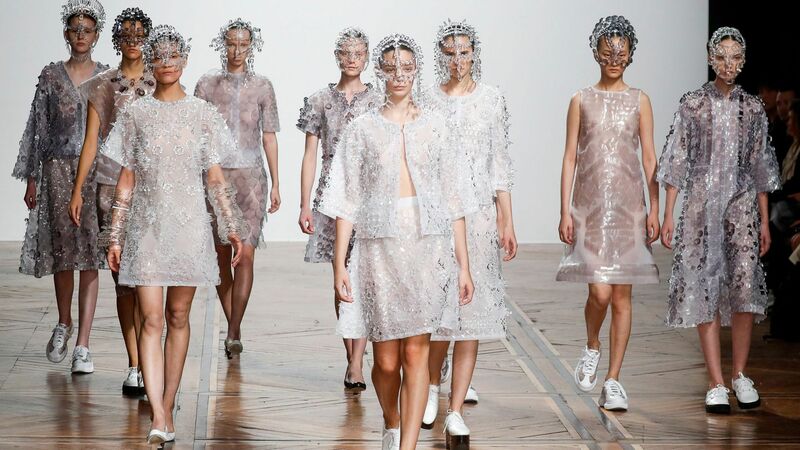 Look no further than our interview with Zimmermann designer, Nicky Zimmermann. Floral dresses don't have to go away when Fall hits. Learn about the power of layering and play around with some of your favorite pieces from "the wrong" season. Wearing a boho-chic flowing dress in winter with a chunky knit and boots could be your best look yet. There are tons of great maternity brands (Hi, Hatch!) but for those of you that really can't imagine going to that section, invest in a few staples in larger sizes that will be cozy and fit your personal style. Post-partum, belt that favorite oversized buttoned down and wear it as a dress! Wide, horizontal stripes do not have to be unflattering. Find a horizontal stripe on a fabric that follows the shape of your body and gives you structure. 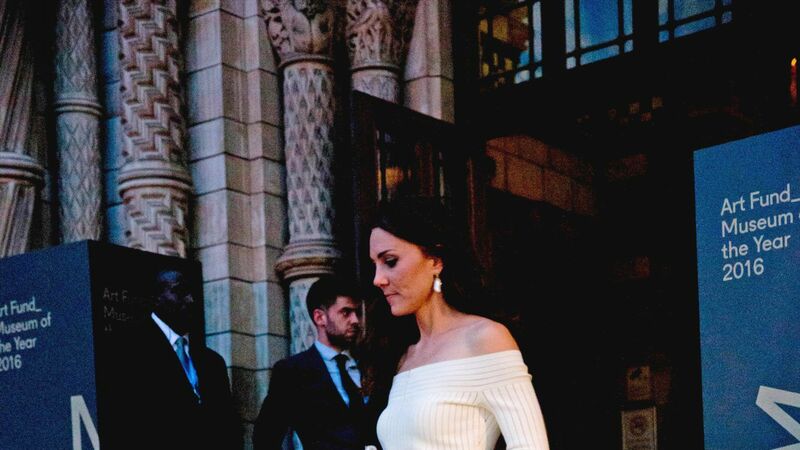 A dress in a thick jersey knit is a perfect option.